Free software can help to reduce your monthly overheads, but at what point does a money-saving solution become a false economy? Free EPOS software. That’s a myth, right? Like the Loch Ness Monster, and leprechauns? Dare we believe? Yes. In a world exclusive, Expert Market can confirm multiple sightings of free EPOS software all over the internet, and it would seem there are plenty of providers to choose from. We scoured the internet so you don’t have to. We found five of the best free EPOS software solutions available to download and added a handy breakdown of the pros and cons of each. These programs are all cloud based — so can be accessed at any time, from anywhere — and have the basic functionality you require to process transactions. 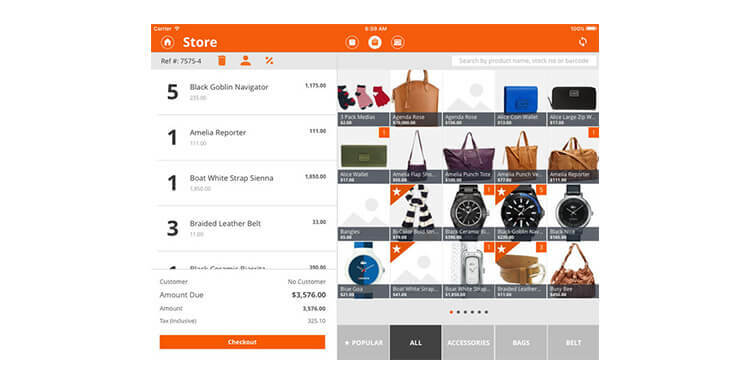 Hiboutik is a free EPOS solution developed by the IT team behind a well known fashion brand. 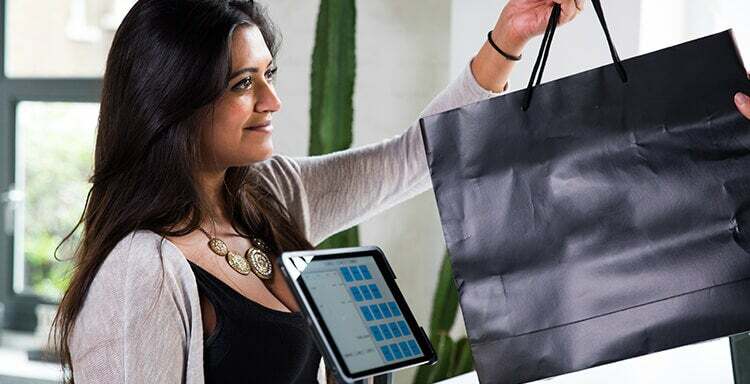 It’s designed to bridge the gap between a traditional bricks-and-mortar store and an ecommerce store, combining data sets to give business owners a complete overview of sales. For a long time it was the best kept secret of its developers, before being made available for the general public to download in 2012. This extensive trialing period means that all the bugs have been well and truly ironed out, and makes Hiboutik one of the most reliable free software solutions on the market. With a name like Proffitt, Dave Proffitt was always destined to do great things in business. And ProffittCenter — the culmination of over a decades’ work — is proof of that. ProfittCenter is free. Entirely free. There’s no paid plan or upgrades, nothing like that. But it is rather basic. And it’s worth noting that on his website Dave says he intends to maintain support for the system for as “long as he is able to”, which isn’t a particularly reassuring thing to read as a business owner — especially when you’re looking to plan for the future. 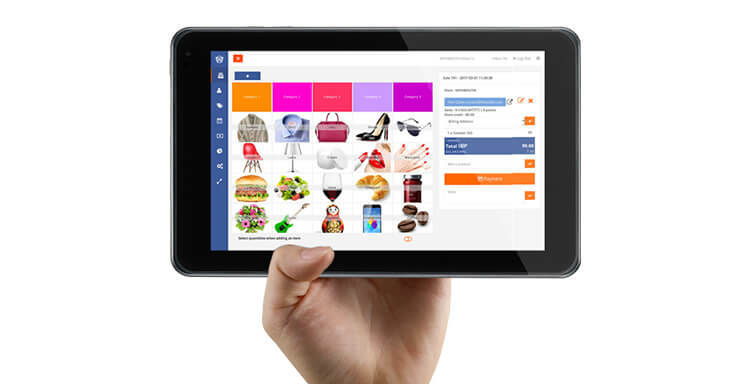 Winner of “Best Open Source Application” at the 2013 Bossie Awards, uniCenta POS is an intuitive and dependable free POS software bundle which can be tailored to suit the needs of a wide variety of different retail businesses — from fashion boutiques and pubs to supermarkets and restaurants. Support for UniCenta users is available through community forums, and the developers can be reached by email. Imonggo was designed specially for touchscreen devices such as tablets and smartphones. It works on standard computer-and-keyboard setups as well, but the features are especially useful on handhelds. The interface is intuitive and easy to use, with big buttons and bright graphics. It also features an offline mode for devices without a wireless internet connection. eHopper is an established provider offering both subscription based and “freemium” EPOS software designed with small businesses in mind. As you would expect, the free version has limited functionality; the major drawbacks are that you can only install it on one till and you can’t integrate it with a card reader. Bummer. But as a starting point for fledgling retail businesses, eHopper is an excellent choice of provider. At the end of the day, free EPOS software can be a good place to start. Most businesses, however, will soon outgrow these basic softwares quite quickly, and will find the paid plans much better value – especially with prices starting at as little as £9.99 a month, with no fixed contract. Expert Market is one of the leading EPOS software comparison companies and we can help you get the best deal for your business by matching you with the most suitable providers. To speak to up to four providers today, and receive free quotes, simply complete our short form. This comparison process is free, quick and easy. It’s guaranteed to save you time, and it could even save you money. 1. Is free EPOS software really free? Take Hiboutik Free POS Software — a company that actually has “free software” in its name. Hiboutik offers three solutions and the most basic is indeed free to sign up to. It has all the functionality you need to process transactions; you can import inventory and organise products into quick-access menus, print receipts, view stock levels, the list goes on. The catch comes when you want to operate more than one till system or access advanced reporting features. In order to do this, you will need to subscribe to Hiboutik’s “Multi-stores” plan for £9.90 per month. So, the reality of it is that most providers offer “free EPOS software” with a view to luring you in and, ultimately, signing you up to a paid plan. Think ‘freemium’ rather than ‘free’. But is this really such a bad thing? For many small companies, basic EPOS software will be more than sufficient for day-to-day operations. And as business booms, business owners can upgrade to a full-featured software plan with the advantage of already being familiar with how the thing works. 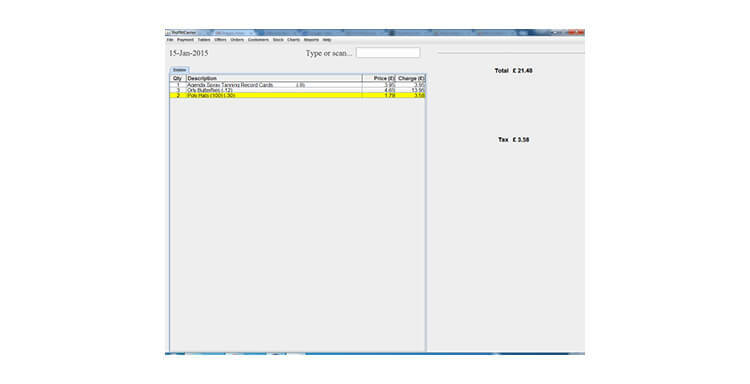 So yes, free EPOS software really is free. It’s just limited in functionality and not suited to large businesses. 2. Is free EPOS software right for my business? But if you don’t tick these boxes, it’s worth considering paying for your software. Because in the long run, free software programs can prove a false economy when they fail on you at a crucial moment or the developers withdraw support. By investing a little money in your EPOS software — either on a monthly basis or upfront as a lump sum — you can rest assured that your system will perform for you day after day. Plus, the advanced reporting and analytics functions that come with paid plans help you to make smarter business decisions based on data, rather than relying on gut instinct. You wouldn’t cut corners with the products you sell or services you provide, so why do it with business-critical equipment such as EPOS? The cost of EPOS software is probably a lot lower than you imagined, and Expert Market can help you get the best deal from providers. 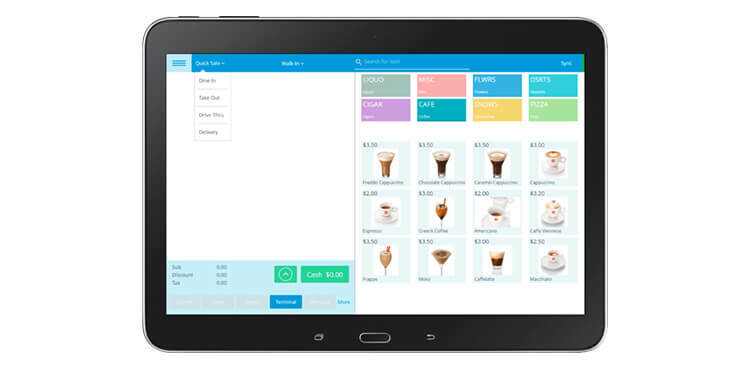 Feature-rich EPOS software is available for as little as £9.99 per month with no fixed term contract. 3. What is open source software? There is a second type of free software to consider, though, and that’s open source. Open source software is software where the source code is available for anyone to inspect and modify. This means that, with a knowledge of coding, you can tailor an open source program to meet your specific needs. The benefit of open source software is that it is, genuinely, 100% free. In most cases the program has been developed as the passion project of some kind soul and you can download and install it on as many systems as you like without paying a penny. The downside is that support for open source software is limited. If the developers get bored or distracted by another project and stop updating the platform then you can be left hanging with an underperforming system. You will also require a fair amount of technical knowledge to get the most out of open source EPOS software, as even minor tweaks to things like product menus require you to dive into the source code.